It’s Handmade Monday! And of course, I’m running late. I keep promising myself I will do a couple of blogs and save them and just be able to pop them up Sunday night and be good to go, but no, I get so excited when I have something I can’t resist posting it right then, so I never have anything made ahead. The problem with making a blog post (for me anyway) is that it’s not just a matter of typing a few words and tossing it online. I have to take photos while I make it, and then I spend quite a bit of time getting the photos just right. Sometimes writing it out takes me awhile. And in the meantime sometimes I just get distracted by other things. I wonder if other bloggers have the same problem? And how on earth to people with small children ever get anything like this done? Well, anyway, I was planning something completely different, but even tho my wonderful husband spent all day Saturday taking me all over we could not find one important ingredient, which I finally had to order online. So, if it gets here in time, I will make that for next week. But I was scrambling for something for this week, and fortunately Jeff had found a wonderful recipe for Limeade, and he suggested we try that. It’s pretty simple, but it really IS awesome! I’ll stop babbling now and share this easy and tangy Brazilian Lemonade. BTW I don’t know why it’s called lemonade, it’s made with limes! Jets & Eggs –Butter Oh Boy! My middle son Jordan is probably a better cook than I am. He is a Foodie with a capital F. I can honestly say he was born that way. He has always loved food, and was interested in cooking from an early age. He asked for family recipes as soon as he had his own kitchen and actually made them. Not only that, he experimented and shared new ones. 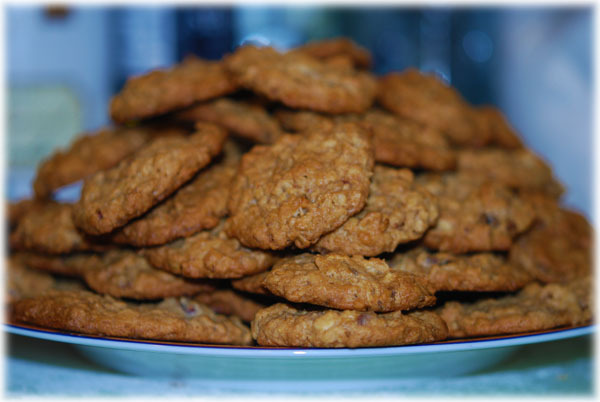 Several years ago he decided to make a family recipe that we had made when the boys were young. It was passed down to us by Jeff’s Mom, and it had been passed on to her by her Mother. These were an Easter tradition, but he had probably never seen them made because the whole point was to make them without the kids seeing because, of course, the Easter Bunny brought them. I set out to do two batches of butter cream eggs for Easter. It had been way too long since I had them, and I was feeling in that holiday spirit. After reading the recipe, I noted that it called for margarine, not butter. Being the foodie snob that I am, I couldn’t reconcile why you would use an inferior product in such a rich treat. Thus, it was off to experts. Needless to say, Dad does not make enough of these to be an expert, though he did share my enthusiasm for a higher quality treat. So off to Aunt Jane, the great sage of our family recipes (and in recent years, Granddaddy’s Jet extraordinaire), who suggested that the current recipe may have been altered after Granddaddy’s first heart attack (apparently butter is not exactly good for your heart, and margarine makes a suitable substitute). She too thought it would be possible that butter would be a better idea than margarine. With this in mind, I decided to go for the old horse race. Buy enough ingredients to make the recipe both ways and let my taste buds decide for me. With thanks and love to Aunt Jane, I promised her a full write-up of my findings (thus the increasingly lengthy e-mail). 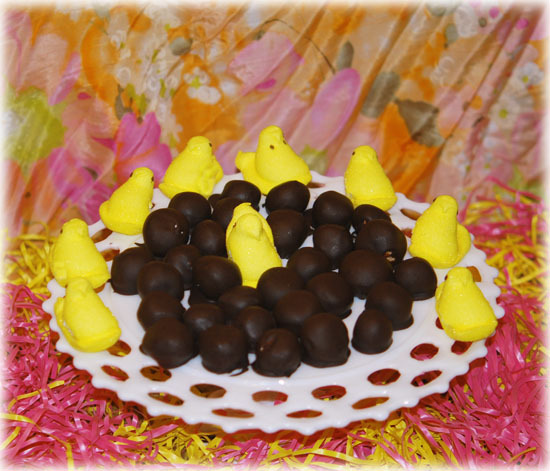 Excited by the prospect of fundamentally changing the way our family views one of their favorite Easter treats, I reviewed the recipe, decided to make a double batch of each and headed to the store. To keep things as equal as possible, I chose Land of Lakes for both the butter and the margarine (thinking at least the quality of ingredients should be the same). I bought the unseemly large number of bags of powdered sugar (5 bags), and splurged for the really nice bitter chocolate, Sharfen Berger (note that this chocolate is more than 3 times as expensive as the cheaper brand, but is fantastically good). I was also fortunate enough in my last trip to Henderson to sneak out to Hidalgo’s in Longview (a great Mexican pottery, statue, furniture type store) that actually brings back real Mexican vanilla (like you get from the little shops in Mexico). It beats vanilla extract from a tiny bottle any day. Planning ahead, I left out the butter so that it would warm to room temperature (otherwise, creaming would be impossible). I chose the butter test first (can you tell which one I expected to win yet?). I started creaming it with the powdered sugar (so far so good), and adding half and half). This continued…and continued…and continued, until I almost wore out my electric hand mixer. No matter how much powdered sugar I added, I just couldn’t ever reach the “firm” consistency called for in the recipe. I had already been adding, and mixing, and adding, and waiting for the mixer to cool down, for about an hour and a half. After 3½ bags of powdered sugar, I began to think this butter thing must not be working. 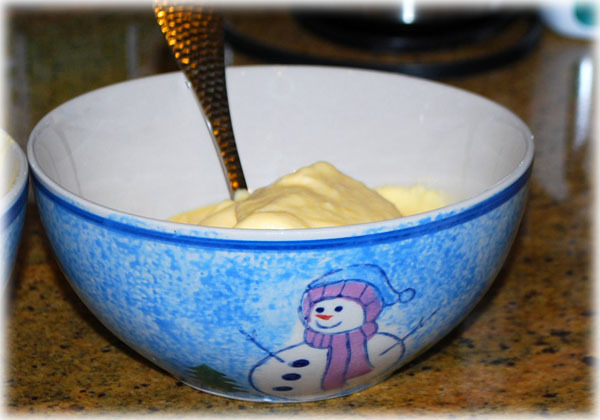 I decided to employ the refrigerator to firm up the butter cream mix (which was effective, but time consuming). After about half an hour in the fridge, I was able to start rolling the mixture into balls (yes, I was making eggs, so ½ of the batch was colored yellow, the other half left white), a couple at a time. My hands warmed up the mixture pretty quickly, and it was apparent that there was no way this was going to be a clean experience. After managing about 30 little yellow balls, covered in a white outer layer (this process itself probably took another 2-3 hours), I stuck them in the freezer (it was getting late on a Friday, and I was planning on bringing these with me). I started melting the chocolate, and brought the eggs out a few at a time to drop into the chocolate. Between trying to cover the eggs before letting them warm up and melt, and fish the eggs out of the pot with a fork, I managed about 10 great looking eggs, and 20 that looked like they had been made by Edward Scissorhands. The chocolate covered (if you could really call them covered at this point) eggs were set up in my fridge & freezer on cookie sheets to further harden (I was slowly realizing that these would never be able to be served at room temperature) before transportation to work the following day. How did they taste you ask? Fantastic. Super. Creamy. Better than I ever remembered. However, I am hoping my big flaw in preparation was using too much half & half. I guess I could have kept adding more sugar, but I was running out of bowl (and this was the largest bowl I had). With my current batch not going exactly as planned, and few hours left before work the next morning, I opted not to give the margarine Jets a go. I am thinking a weekend at Aunt Jane’s would provide a little firmer grasp of how the process “should” go before setting out to tackle the margarine method. So in answer to your questions, sure – butter probably has a taste advantage, but if you don’t know what you should be looking for in the first place, it is probably wise to stick to the recipe as printed. Aunt Jane – if you give the butter option a go, let me know how they turn out for you. I will probably make another attempt after I finish off my freezer full of Butter cream eggs, but will try a single batch next time. Let’s just head over to Cook It and check out how you really SHOULD make then at Buttercream Eggs and Jets. If you start now you can still have them for Easter morning. I got really excited when I ran across a recipe for Sugar Hearts. They seemed easy and I thought it was the perfect project for Handmade Monday. In addition, I could see some practical applications, especially, something to send the boys for Valentines Day. There were only a few ingredients and few steps. Seemed right up my ally! The only downside was that I was busy Saturday morning and I had to pick up powdered eggs and small cookie cutters so I could have them done, photographed and blog-ready by Monday. OK, no problem. You would think by my age I would know that any time I think no problem, that’s a clue. There will be problems. But, nevertheless, they are doable, and they are cute. 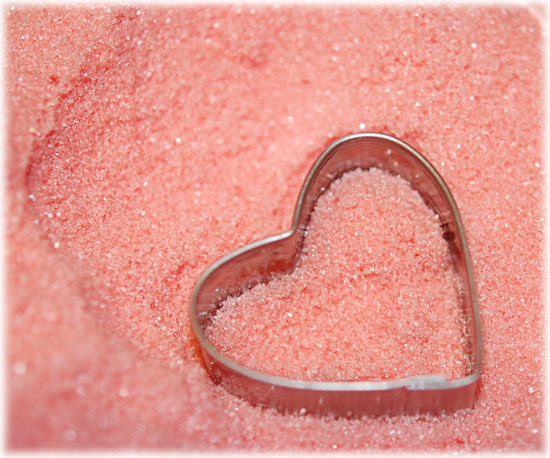 So, head over do Make It and see how to make your own Sweet Sugar Hearts.